Netflix: A competition for traditional media? There has been much talk over the past few months in particular with Netflix. With films such as The Cloverfield Paradox and Bright being released on the service recently and getting a lot of views and reviews, it begs to differ whether Hollywood has less of an impact as it use to have back in the days. In this blog, I will break down the pros and cons of releasing films (as well as TV shows) straight onto Netflix. Viewership: Not everyone can afford to go out and make a trip to the cinema, even for the biggest releases. Launching a film that can be viewed right on a TV means more accessibility. It is also cheaper, as there is no specific price tag on the film. Only a monthly subscription payment is needed, and that is a lot cheaper than a family trip to the cinema once. Promotion: When a film is due to be released in cinemas, a chunk of the budget is spent on PR and advertisement to promote the film. Launching it on Netflix does the promotion by itself, by being tied to a huge brand. Being launched on Netflix also means that the company will promote it in-app and also through their own server. Take for example The Cloverfield Paradox, which had one advert to announce the film at the Super Bowl before being launched. Love it or hate it, the film is a commercial success. Freedom: Netflix allows a lot more freedom in their content compared to traditional Hollywood. It is rare for a film to do successful in the traditional matter without being a blockbuster or Oscar contender. Netflix allows more creative and vital stories to be told, such as documentaries and films such as Okja. 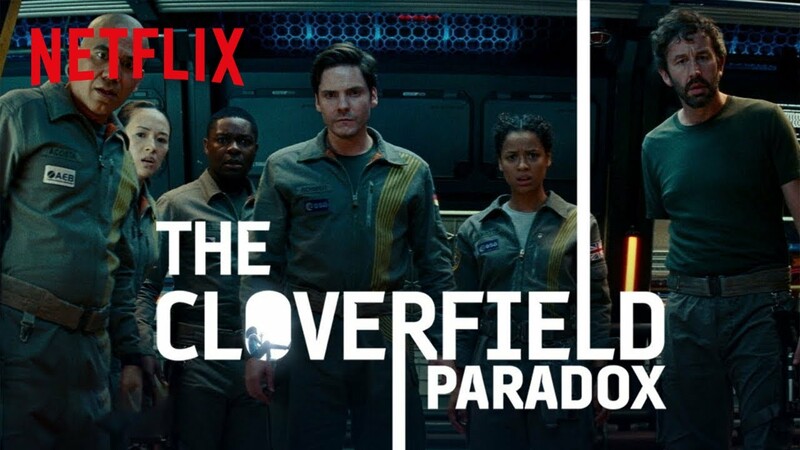 Critical Acclaim: It is no shock to anyone that people are generally not liking The Cloverfield Paradox, the third film in the Cloverfield trilogy. The film only has a 17% rating on Rotten Tomatoes. This isn't the first Netflix film to receive such bad scores, as Bright got the same amount of controversy during its release. Whether that has to do with the quality of the film, or influence under the immediate release from Netflix, that's up to you to decide. The Cinematic Experience: I have recently blogged about the "cinematic experience" and why I personally prefer seeing a film in cinema. Some films are made for the big screen. To therefore see less movies potentially go forward with this and to not get the true cinematic experience with films that could deserve it, makes me personally sad. Truth be told, I cannot think of many cons for Netflix original films. At the end of the day, it is a way of seeing more films distributed and shown. With a battle of Hollywood vs Netflix, it just means that more high-quality films will be made by both sides to try and be the best. There is no need for a best, as long as good films are made and shown to the public. In the end, there is no winner between traditional and digital, the winner is us. The viewers who get to watch these films. What do you guys think? Do you own a Netflix account, and watch films on there? Or are you like me and prefer to see films in the cinema? Leave your thoughts down below and until Wednesday, that was some film for thought.